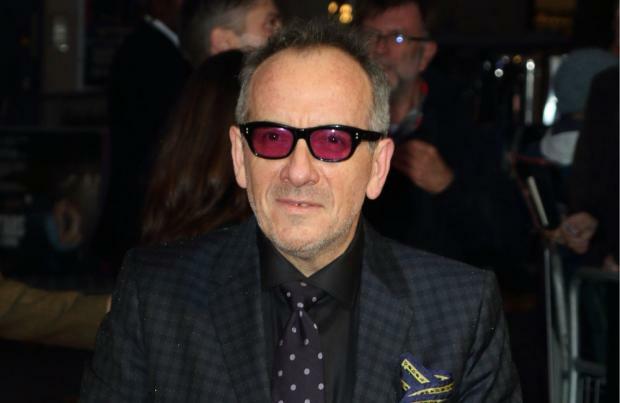 Elvis Costello has announced details of his new album with the Imposters. The 63-year-old musician has revealed that the upcoming album, which is to be called 'Look Now', will be released on October 12 and will feature their two new singles, 'Under Lime' and 'Unwanted Number'. The album will serve as a follow-up to their 2008 LP 'Momofuku' and the two singles are already available to download on streaming platforms. News of the album is sure to delight fans of the London-born musician, who recently announced he was cancelling the final six dates of a European tour to better recover from a surgery that had "defeated" a "small but very aggressive cancerous malignancy". Costello was performing full-length band shows right up until he announced the cancellation of the tour dates. And the British star is already planning to return to touring on November 2, when he and the Imposters start their tour of North America. Of the decision to cancel the European dates, Costello previously explained: "The spirit has been more than willing but I have to now accept that it is going to take longer than I would have wished for me to recover my full strength. Therefore, I must reluctantly cancel all the remaining engagements of this tour." Costello apologised to fans in Manchester, Pula, Graz, Vienna, Tysnes and Rattvik, but added he didn't want to compromise his own health or the quality of his live show.